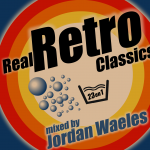 This month, Jordan Waeles takes over the air of Digitally Imported for a special guestmix where he plays pure classics from 1999 to 2004. 16/07/2013 / Be the first to comment! / Be the first to like this! 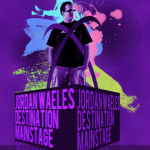 This month, Jordan Waeles takes over the air of Digitally Imported for a special guestmix where he plays pure retro trance and dance from 1997 to 2000. This month's guest is RJ Van Xetten. 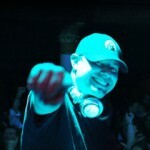 Being one of the leading Tech/Uplifting Trance DJs in his area, RJ Van Xetten has played at clubs in Florida, Utah, Nevada, New York, Puerto Rico and California. Get ready for some hard-banging Tech Trance with great uplifting sounds! 20/02/2012 / Be the first to comment! / Be the first to like this! This month, Jordan Waeles celebrates his birthday with an exclusive birthday bash mix, featuring 50 of the hottest uplifting tunes in a 2 hours mix! 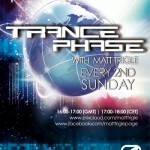 Tune in for the most seamless trance choonage! This month’s guest will be Victoria ( http://www.facebook.com/vickywoodmusic ), an amazing DJ from the UK who has been constantly delivering great mixes and mashups on the biggest trance radios! 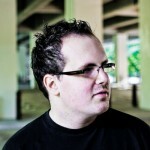 This month’s guest is Matt Trigle ( http://www.facebook.com/matttriglepage ), A&R of Silent Shore records. Selecting and signing pure choonage for the past year, Matt Trigle has developed a taste for beautiful uplifting and emotional trance, that he’ll share with us in his exclusive guestmix!